The GBIF-D node for fungi and lichens aims to open a broad spectrum of scientifically, sociopolitically and economically relevant data in the field of mycological biodiversity to the public. These data are accessible through the GBIF Portal and include valuable records from museums, herbaria, culture collections and monitoring projects with observation data in Germany. The activities of the node are including all biological and taxonomical groups of fungi, myxomycetes (slime moulds) and lichens. In cooperation with the IT Center of the Bavarian Natural History Collections as a data repository, Diversity Workbench workshops as well as other services concerning data storage and data processing, are offered to biodiversity institutions and data providers in Germany. This will ensure an integrated and sustainable data flow to GBIF in the future. The GBIF-D node "Mycology" was built up between 2002 and 2006, within the BMBF-Project "GBIF-Deutschland: Knoten Mykologie". 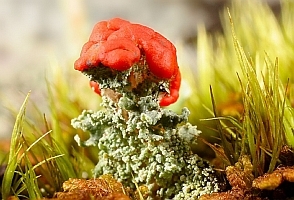 Since 2010, the GBIF node "Fungi & Lichens" is funded by the Bundesministerium für Bildung und Forschung (BMBF) as part of the joint research project "GBIF-D, Kompetenzzentren innovativer Datenmobilisierung". With the start of 2016, the GBIF-D Node Fungi & Lichens delivers nearly 600,000 occurrence records of fungi, lichens and myxomycetes (slime moulds) to the GBIF International Data Portal (see also GBIF-D Statistics). The data originate from collection objects of various natural history and fungal culture collections, herbaria and museums in Germany, but some are observation records from monitoring projects. The majority of data is georeferenced. More than 50,000 images from museum objects and label documents are supplied. A number of information systems and portals provides access to biodiversity databases. 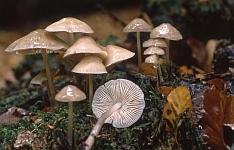 Their development was supported between 2002 and 2006 as part of a first GBIF-D-Mycology funding period.